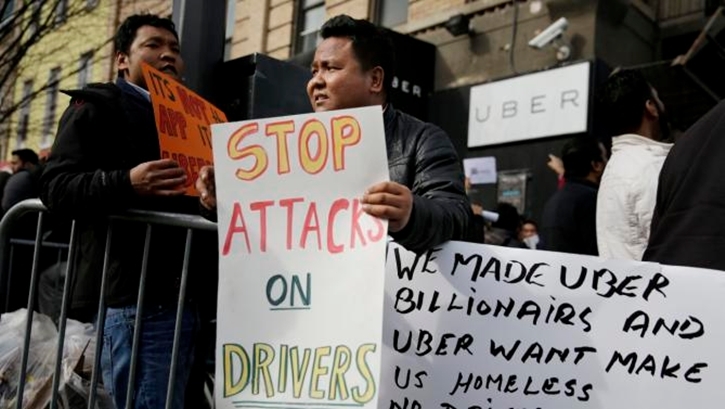 New York - Uber drivers in New York City called Monday for a strike to protest the company’s decision to cut fares by 15 percent, as several hundred rallied at the ride-sharing app’s New York headquarters. Several hundred drivers attended the protest, but it’s not clear how many would heed the call for a shutdown. The company has roughly 30,000 registered vehicles. Mohammed Rahman, a driver from the Bronx who’s been in the business for two decades said the cost cut is too deep. Drivers cover their own insurance, payments on vehicles and gas. the cost of gas fell, what is their contention now?